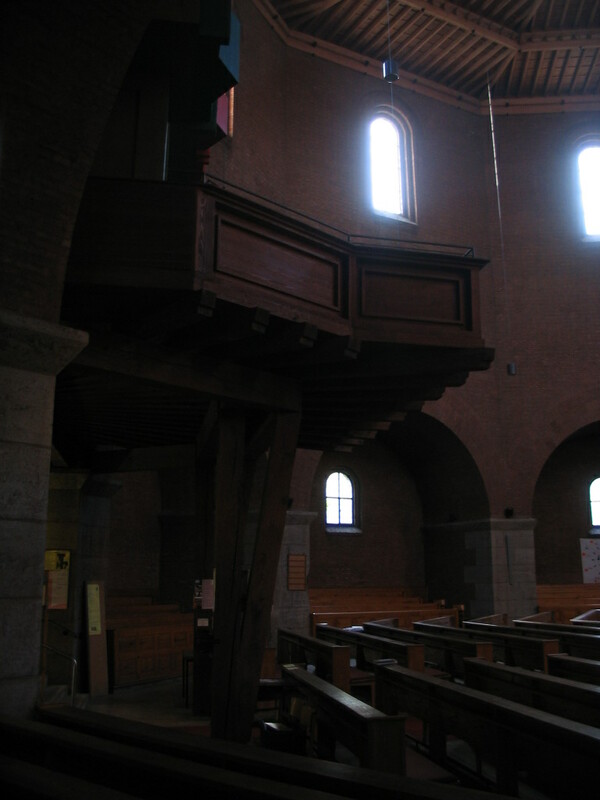 The last stop of the walk was the Erlöserkirche. The name means Church of the Redeemer. 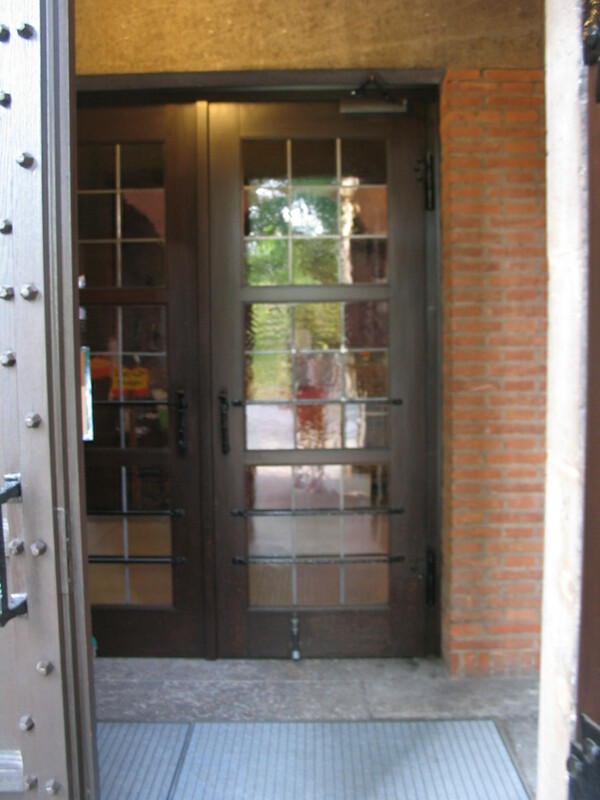 It was designed by German Bestelmeyer and completed in 1933. That Bestelmeyer was sympathetic to the Nazis and joined the Nazi Party around the same time complicates the story, but it doesn't reduce my affection for the building. 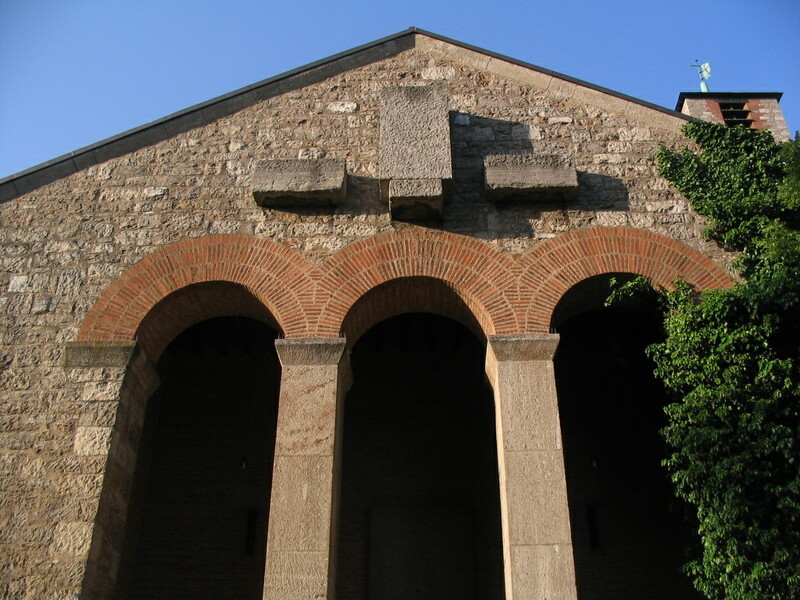 In 1945 the church was destroyed by a bomb, but it was rebuilt by 1950. 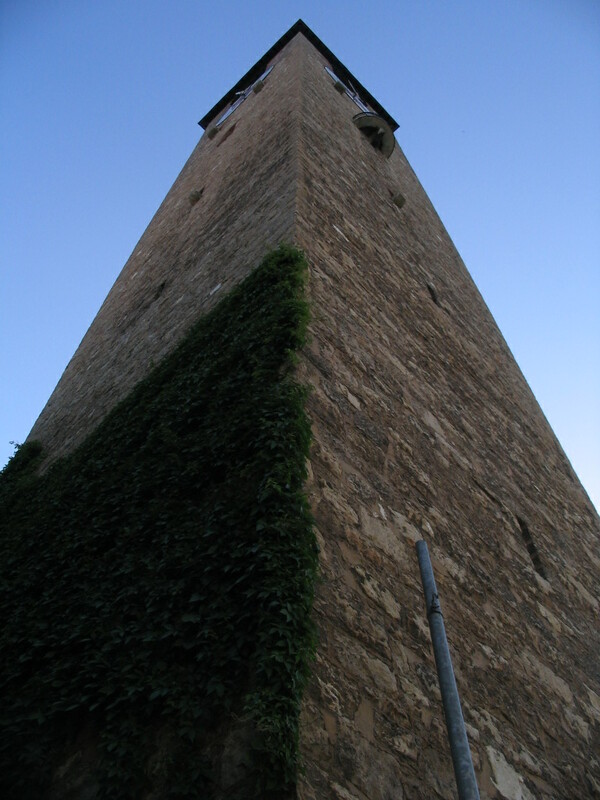 Two faces of the campanile. 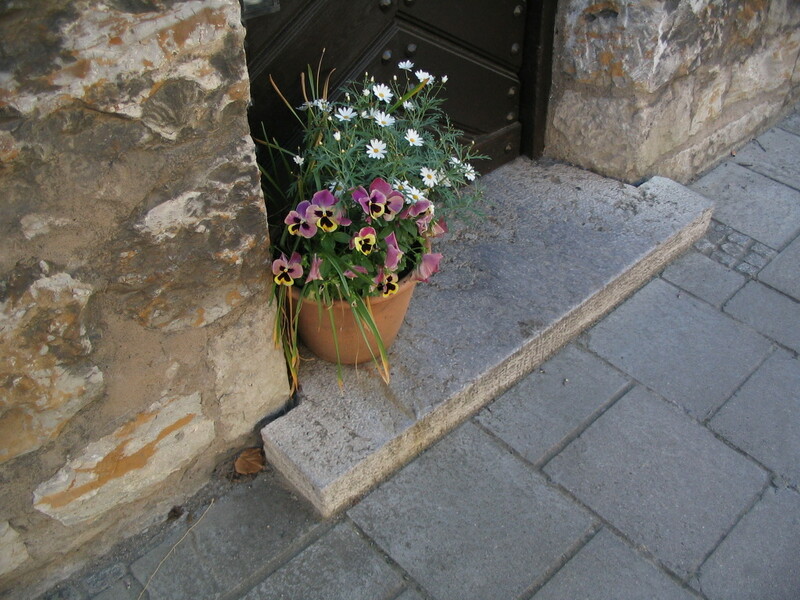 A little surprise at one of the side entrances. 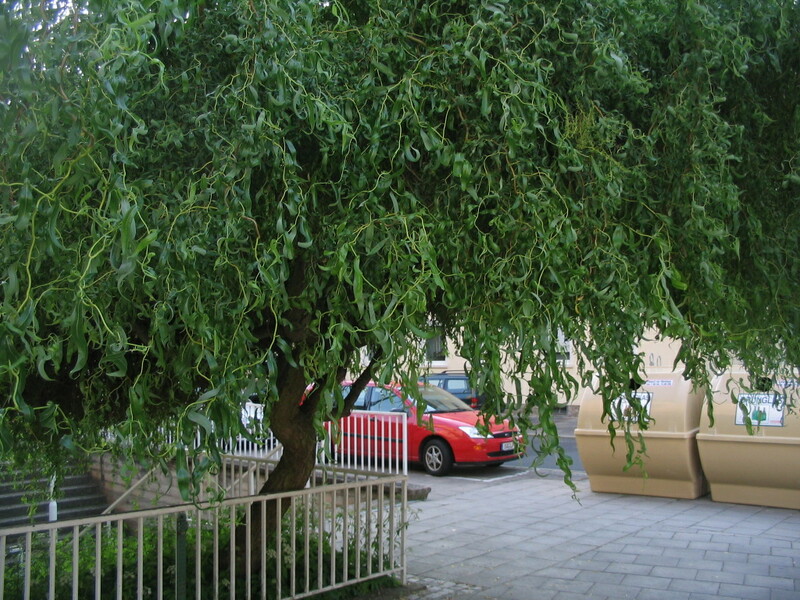 This tree's curlicuing stems and leaves are wacky. I need to find out what species it is. 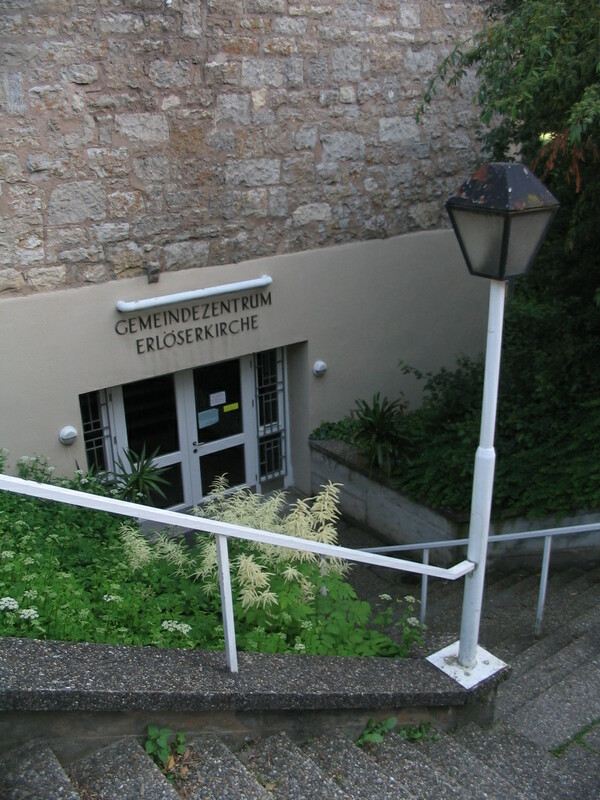 Stairs down to the parish center. 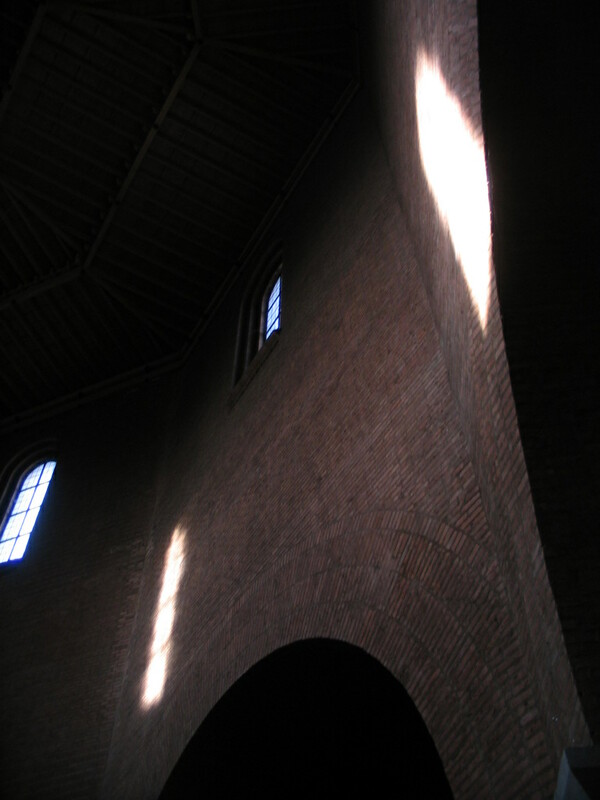 Entering the main part of the church. 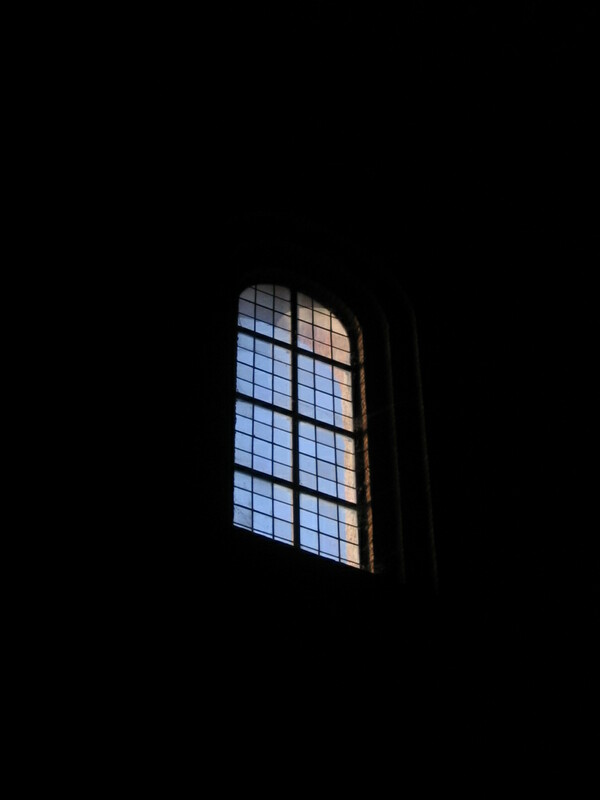 A window floats in outer space. 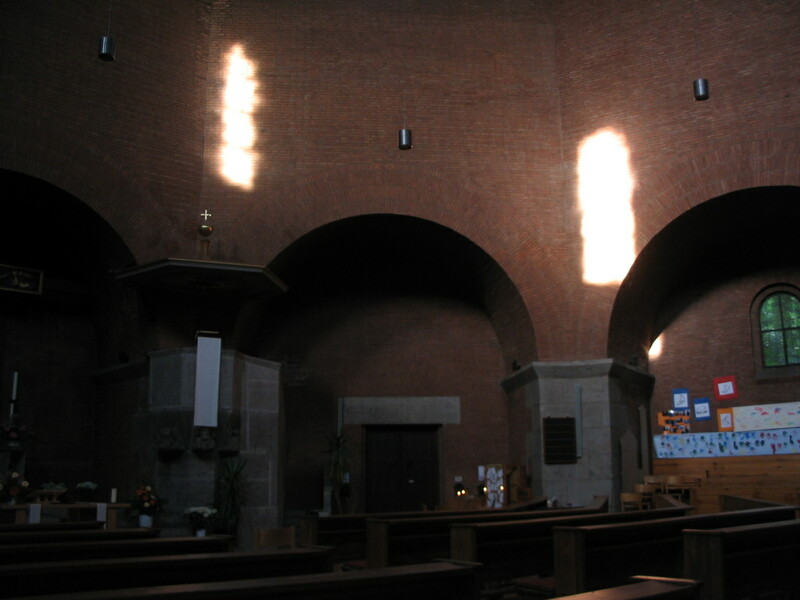 The narrow clerestory windows around the octagonal nave tracked the sun much as at the Stockholm Stadsbibliotek. 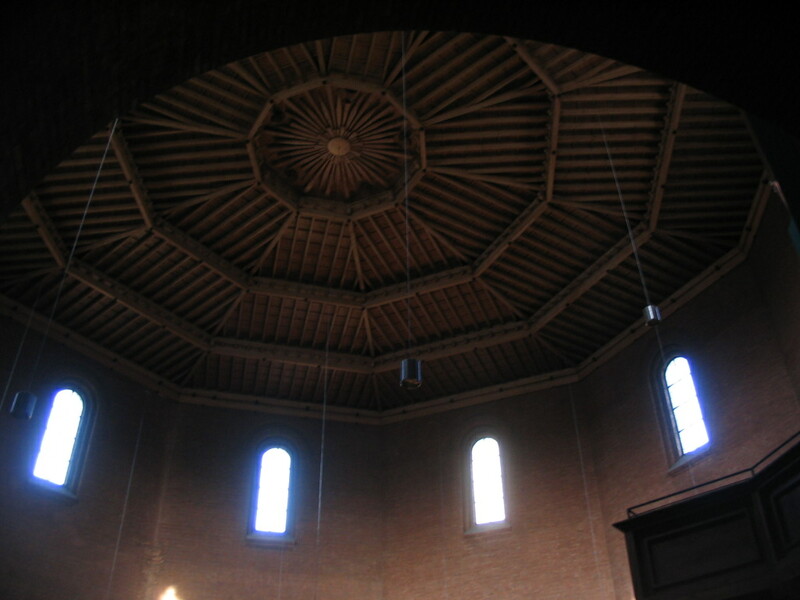 I like these barrel-vault alcoves a lot. Such a cool roof structure! Especially the sun ray slices in the center. Mmmm, nice thick mortar, much like Markuskyrkan, just the way I like it. 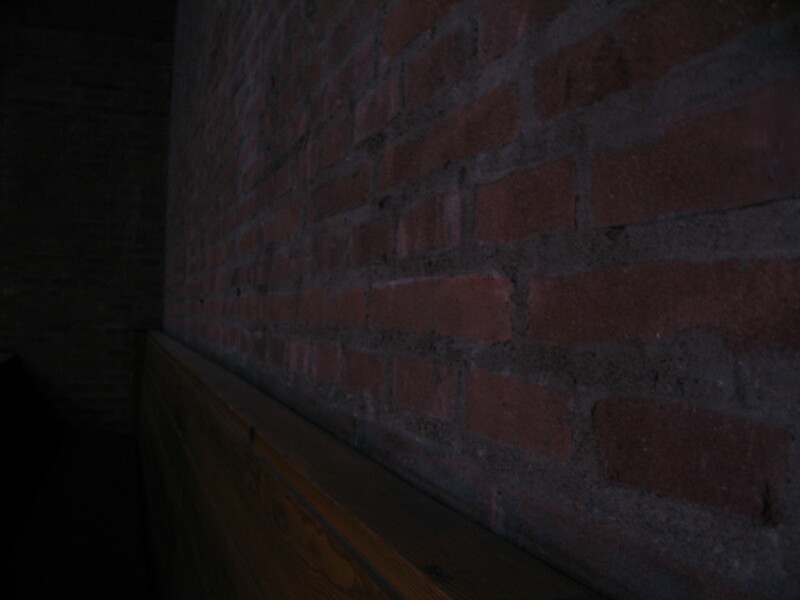 Northeast daylight, west sunlight, east daylight, west sunlight. 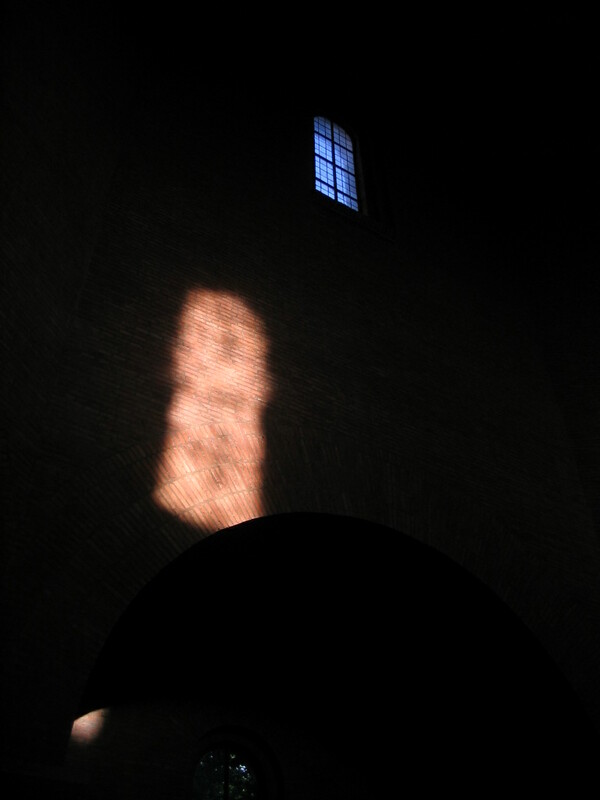 Sun just barely reaching into one of the alcoves. Check out how the edge of the daylight blurs wider as you move away from the sun spot. 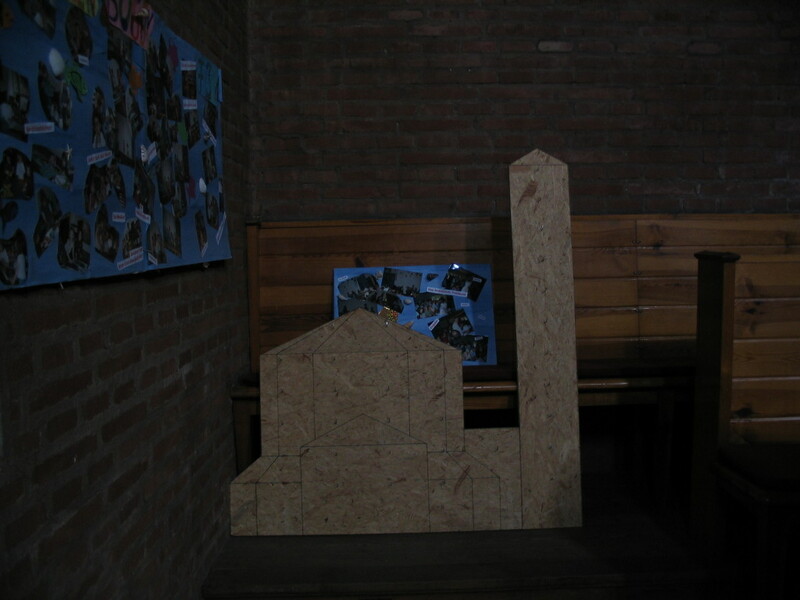 Right on the limen between two and three dimensions was this plywood cutout elevation of the Kirche. 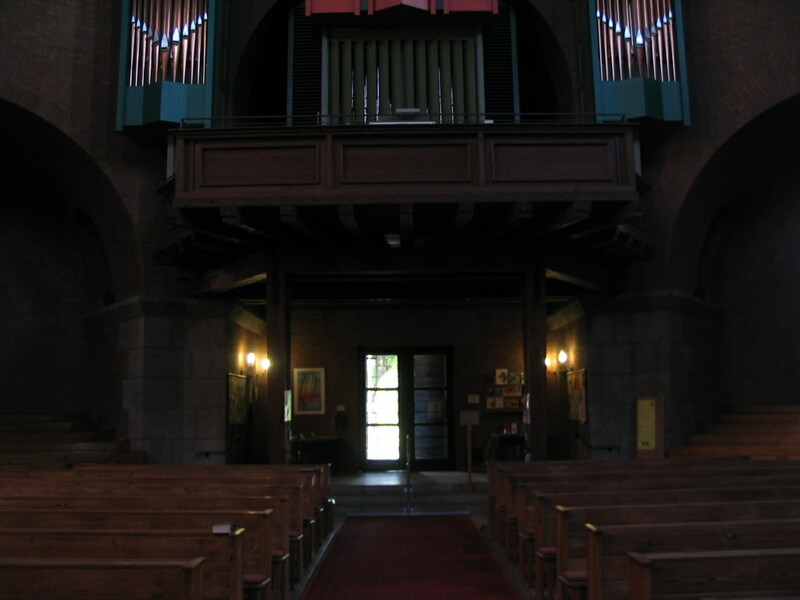 The upper balcony from the side. 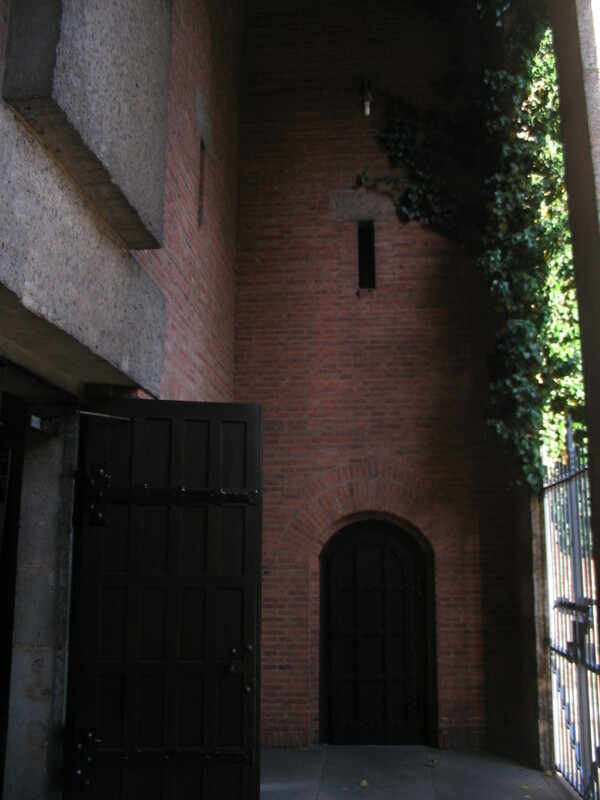 I explored more around the outside of the church. 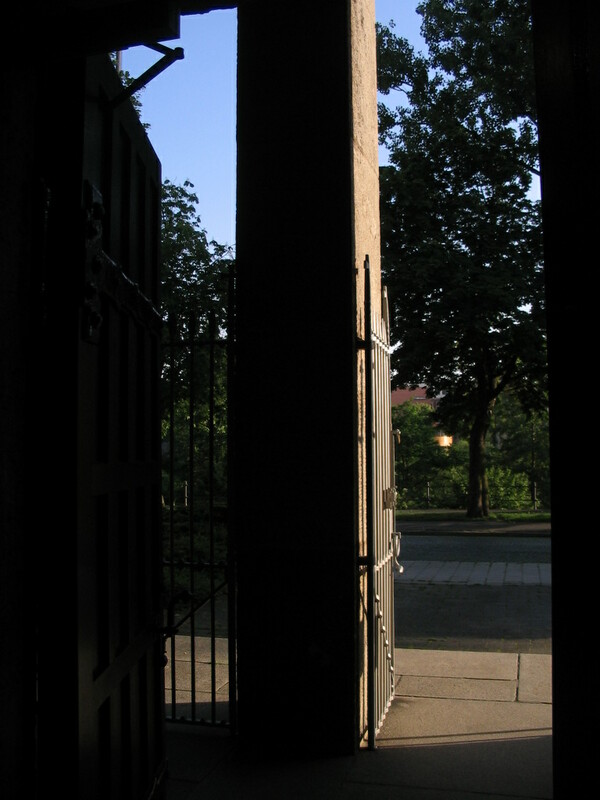 Here, looking out past the piers at the entrance. 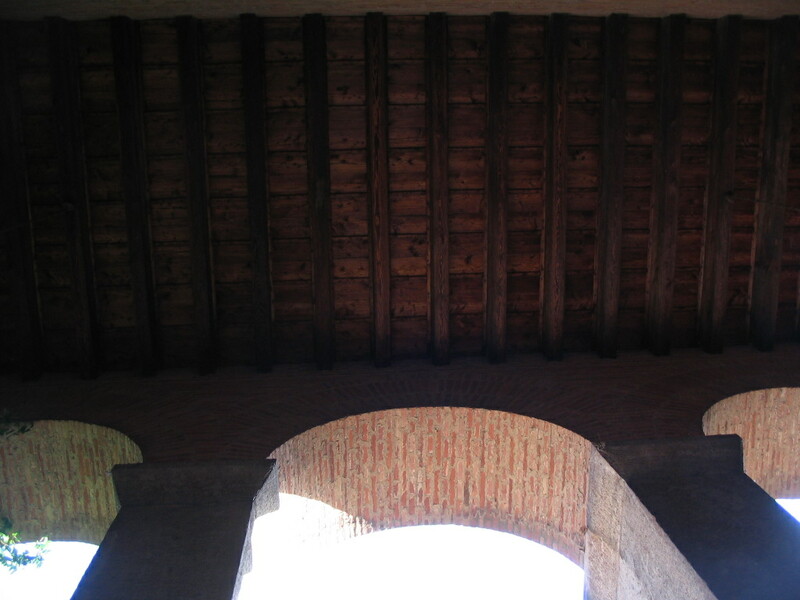 The ceiling of the portico with those great narrow brick arches. The side of the portico, lots of neat masonry details. 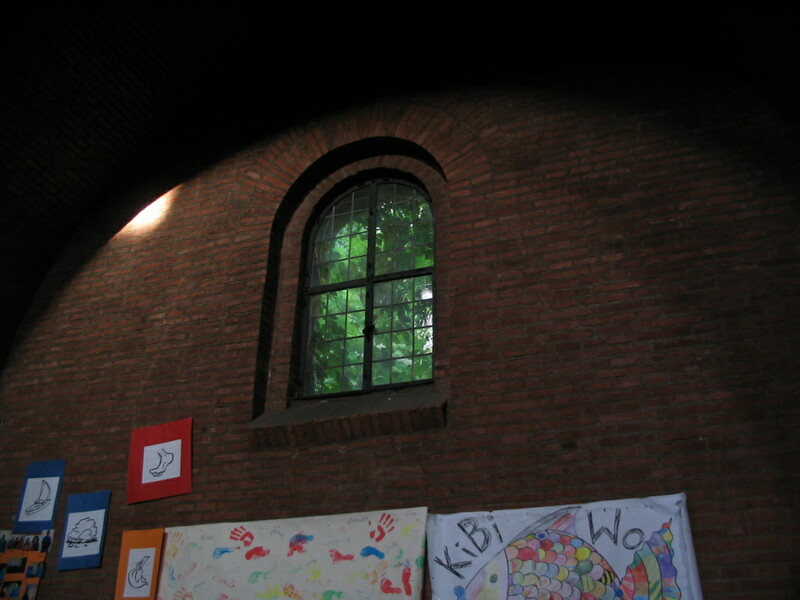 The arches and pediment stones in the lowering sun.